Born: Abt. 1779 in Barnstable Ma. 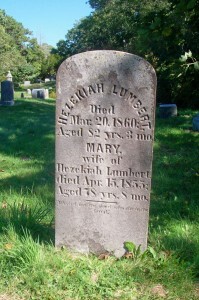 Died: March 20, 1860 in Sandwich Ma. at 82 yrs, 3 mos. 1. Sally Lumbert Barlow; (September 18, 1803 – January 29, 1861); Married Levi L. Barlow (1803 – ?) (Solomon Nye Barlow, Capt. & Anna (Barlow)) in Sandwich Ma. on May 29, 1823; They had 5 children; Sally is buried in Pocasset Cemetery. 2. Polly Lumbert Whitford Parker; (September 27, 1805 – November 23, 1899); Married (1) Solomon G. Whitford (1803 – 1833) (Silas Whitford & Mercy Godfrey) in int. October 16, 1829 & married (2) Jonathan Parker, Jr. (1798 – 1884) (Jonathan Parker & Martha Lovell) in Sandwich Ma. on November 5, 1850; Polly & her daughter Almira Whitford are burried in Pocasset Cemetery; Solomon & Jonathan are in Cataumet Cemetery. 3. Lydia Lumbert Bennett; (September 27, 1805 – September 15, 1850); Married Charles Bennett, Jr. (1800 – ?) (Stephen Bennett, Jr. & Lydia Tobey) in Sandwich Ma. 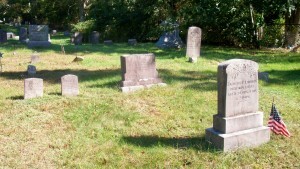 on April 23, 1825; They had 4 children; Lydia is burried in South Monument Cemetery in Monument Beach Ma..
4. Almira Lumbert Bennett; (May 28, 1810 – January 2, 1835); Married George Bennett (1802 – ?) (Stephen Bennett, Jr. & Lydia Tobey) in int. December 23, 1831; George married (2) Betsey Mulford (1805 – 1884) in Sandwich Ma. on November 27, 1836; Almira is buried in South Monument Cemetery in Monument Beach Ma..
5. Eliza Ann Lumbert Raymond; (January 19, 1817 – February 17, 1895); Married Asa Raymond (1817 – 1898) (Asa Raymond & Mary/Mercy Norris) in int. 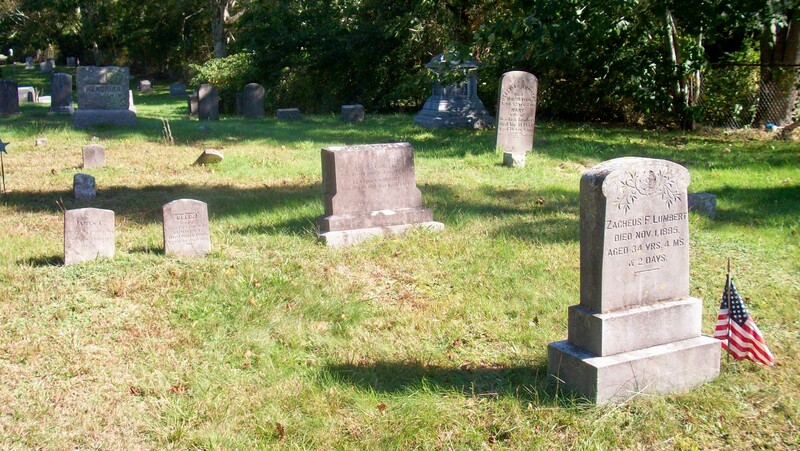 December 7, 1839; They had 9 children; Eliza & Asa are buried in Pocasset Cemetery.